Super Bowl Report | Source MN, Inc. Thank you to the many volunteers and churches who made this possible! Many hours of preparation and training went into the months that led up to the Super Bowl. Over 300 people attended extensive volunteer training, adding over 40 individuals to our volunteer team, coordinating efforts with law enforcement and other service providers, prepping an emergency shelter and drop in with Hope Community Church (which added 100 more volunteers) and hiring new staff were all included. 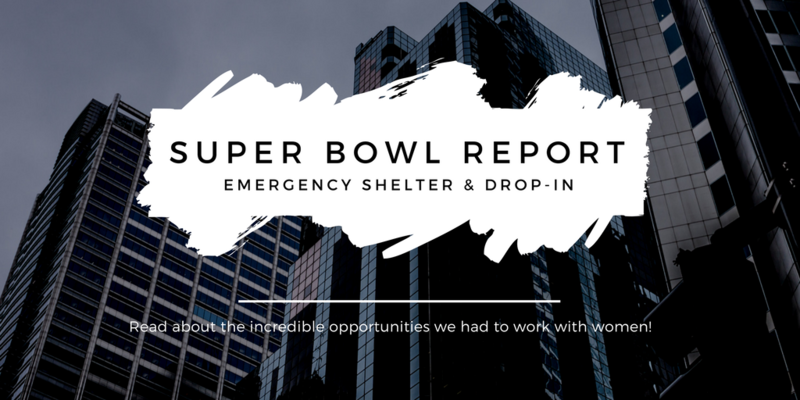 During the week of the Super Bowl we assisted law enforcement, hosted an emergency shelter and drop-in center, and contacted victims directly through our online texting outreach. A big Thank You to Hope Community Church who graciously offered their church space to us. In our partnership with them, we saw the Purple Light Project embodied, a community that isn’t shutting their eyes to women in need. 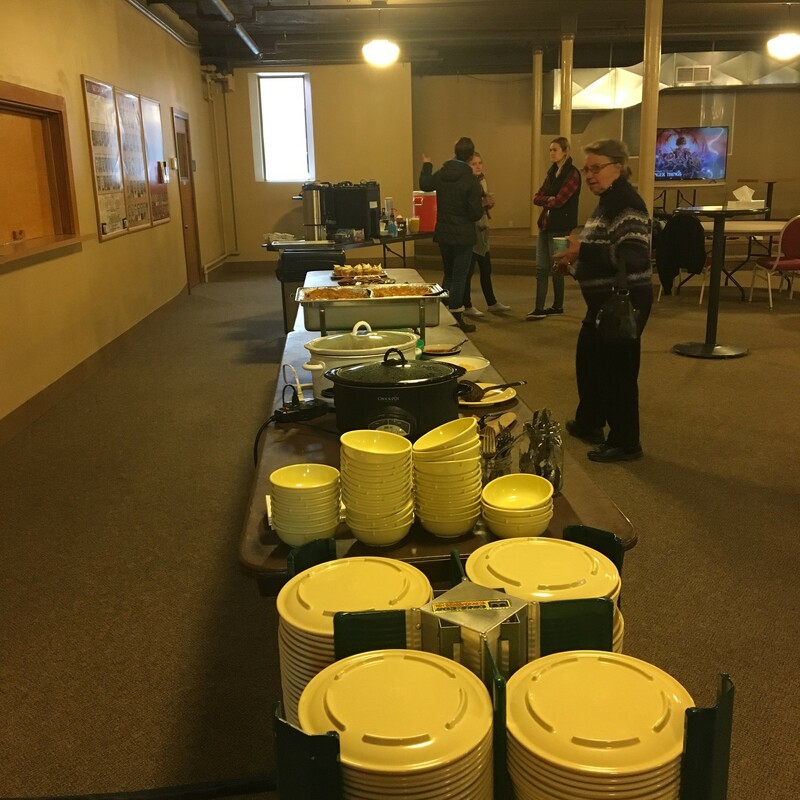 During the week of the Super Bowl, we had an Emergency Shelter at Hope Community Church that was open 24/7 with 20 beds and during the day we had a drop-in that was open during daytime hours for women to come in for conversation, a hot meal and resources. Watching the many committed volunteers turn the nursery rooms into individual bedrooms with so much beauty and dignity brought tears to our eyes. We were blessed by the 200+ volunteers and over 40 churches that were involved with making this happen. They made this happen by bringing meals, welcome baskets, dignity bags, providing security, and hospitality. We had 13 women come through our shelter – 4 stayed overnight with several staying multiple nights and 9 came through our drop-in center. The women that stayed in the shelter were overwhelmed by how they were treated and that a church had gone to so much trouble to provide such an environment. The feedback we received from them was that they had never been to a place like this, that was so comfortable and welcoming. 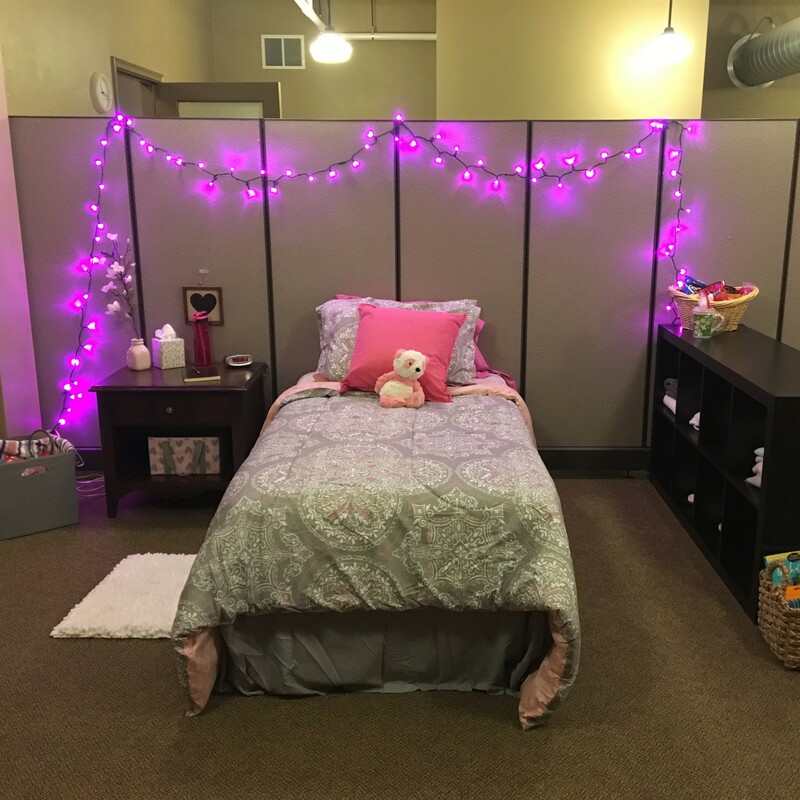 One woman said, “This feels more like a vacation than staying at a shelter!” We were able to connect them with resources for their next step when the week was over. During the Super Bowl week Law Enforcement decided to focus on the demand side of trafficking. They were able to arrest many buyers. We made new connections with law enforcement in the metro area as we were called in on a recovery. We were also able to help out in other ways where support was needed. Our Outreach Teams came in contact with women through their online adds, informing them of our services and opportunities for resources. These seeds are significant at any time but especially during a Super Bowl week. Unfortunately, during a high demand week like the Super Bowl, many are focused on working as much as they can. However the days and weeks after the Super Bowl is when they are more apt to respond to opportunities. It is crucial for them to have easy access when they are in a place of contemplating change. One of the first days at the Drop-in Center 3 women walked in, they were a bit frantic, trying to figure out where to go. We welcomed them into the building to see how we could help. We learned that they were here visiting from another city and students from a South American country. They had put themselves in a vulnerable situation. We saw this as an incredible opportunity for prevention as we were able to provide them with resources for safe travel and education on the topic of trafficking. We are thankful for the opportunity we had to have emergency beds available for the Super Bowl week. We were able to make relationships and build trust. Moving forward, we are excited for 2018 and how the Super Bowl week has kicked off increased resources. Much of our preparation was not just thinking of the week of the Super Bowl but the needs that will continue. This will include being available for recovery support to law enforcement when recoveries are made and online outreach will be ongoing. We will have teams reaching out on a daily basis. Recovery center renovations begin this spring. We continue to open our program to women who have come out of the life. New doors are being opened for us to bring awareness and training. Please stay connected for ongoing opportunities for involvement. Our work is just beginning!